Mt. Zion Old School Baptist Church was founded in 1851. Just west of the church is a graveyard containing many 19th century grave markers. On July 6, 1864 nearby, Mosby's Rangers attacked and routed 150 Union cavalrymen. Over 100 Union soldiers were killed, wounded or captured. Mosby had eight men wounded, one mortally. The church is site of the annual Thomas family reunion founded 1934. Location. 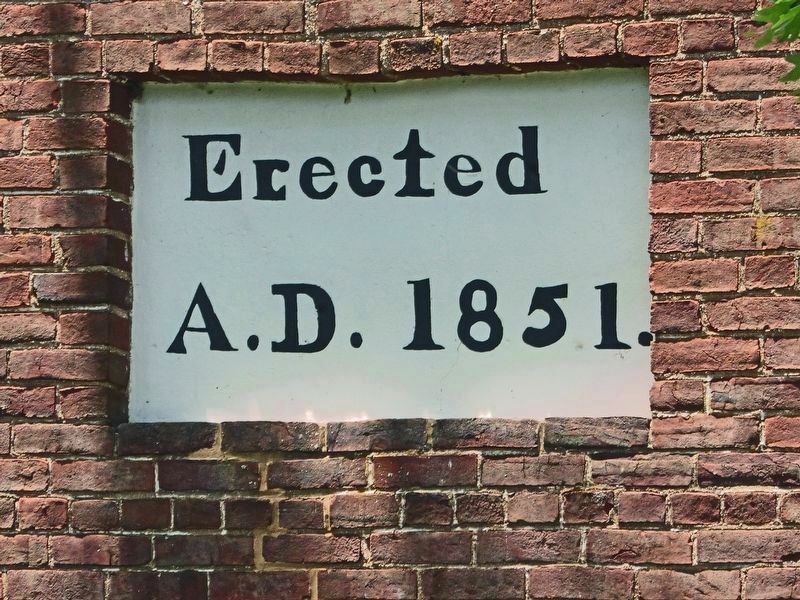 38° 57.834′ N, 77° 36.571′ W. Marker is near Aldie, Virginia, in Loudoun County. Marker is at the intersection of John Mosby Highway (U.S. 50) and Watson Road (County Route 860), on the right when traveling east on John Mosby Highway. Touch for map. 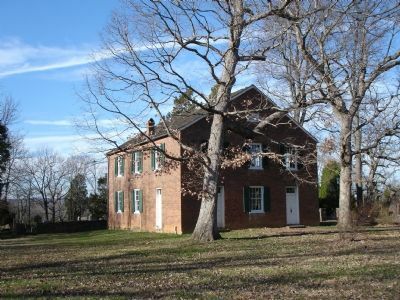 The Mount Zion Old School Baptist Church is located near Aldie and Gilbert's Corner on Route 50, east of the intersection with Route 15. Watch carefully as it is now located on a traffic circle. Marker is in this post office area: Aldie VA 20105, United States of America. Touch for directions. 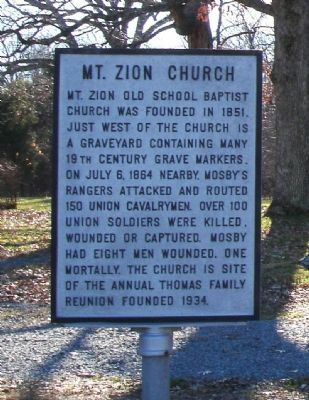 Elders of the Mount Zion Old School Baptist Church (within shouting distance of this marker); Mt. Zion Cemetery (within shouting distance of this marker); The Fog of War (within shouting distance of this marker); The Mosby-Forbes Engagement July 6, 1864 (within shouting distance of this marker); Mother of Stonewall Jackson (approx. 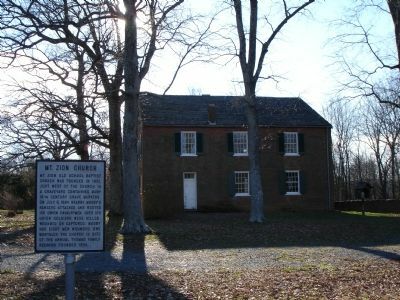 one mile away); President Monroe’s Home (approx. one mile away). Touch for a list and map of all markers in Aldie. 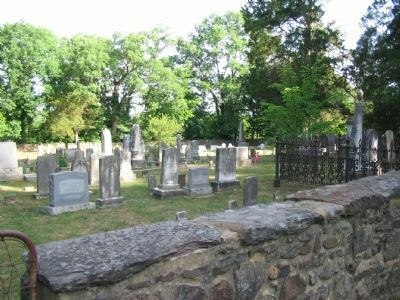 View to the west with walled cemetery behind the church. 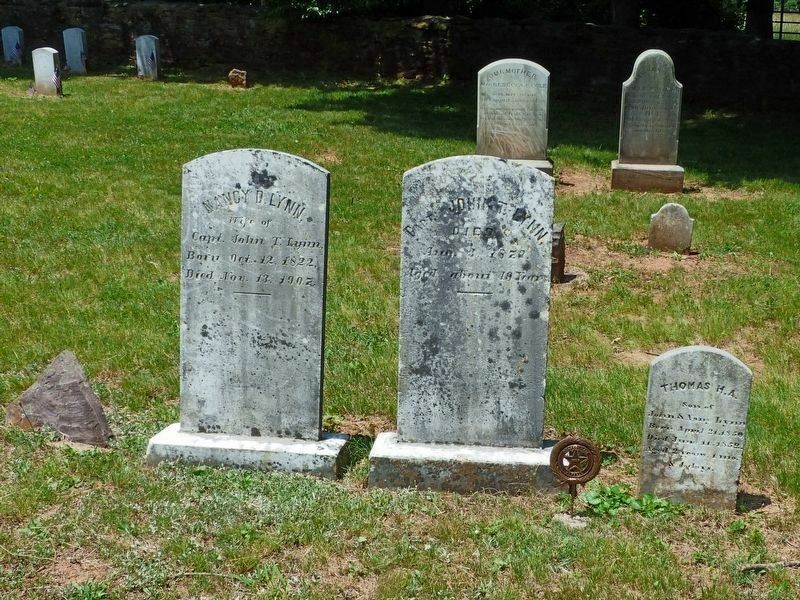 Several Civil War veterans are buried in the Cemetery. Twelve Federal soldiers interred during the war, initially in an unmarked mass grave, were given individual markers recently and are in the southwest corner. The old building has two doors so that men and women can enter separately. 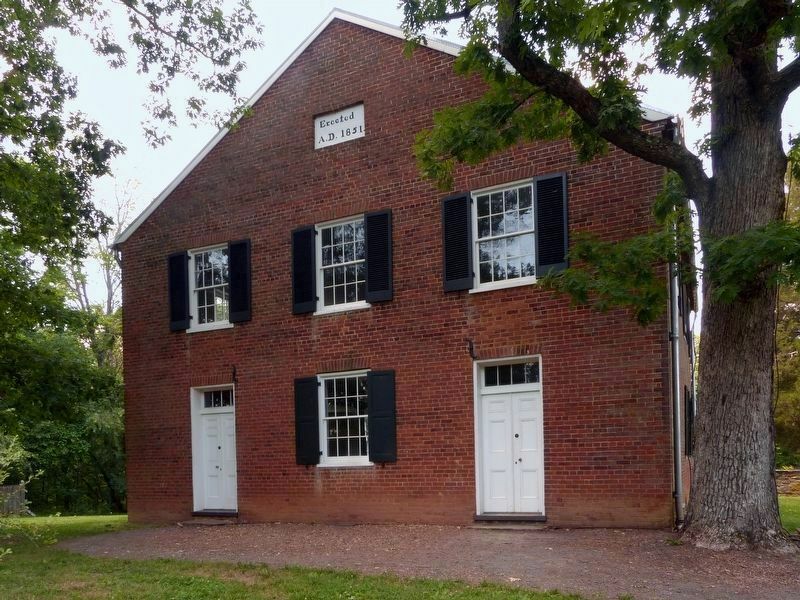 Men and women sat in separate pews on opposite sides of the building. Confederate veteran Capt. John T. Lynn, his wife Nancy D. Lynn and their son Thomas H.A. Lynn are buried in the Mt. Zion Cemetery. 2-year-old Thomas H.A. Lynn was the first person buried in the Cemetery. More. Search the internet for Mt. Zion Church. Credits. This page was last revised on June 16, 2017. This page originally submitted on December 2, 2006. This page has been viewed 1,957 times since then and 13 times this year. Last updated on May 27, 2012, by Linda Walcroft of Strasburg, Virginia. Photos: 1, 2, 3. submitted on December 2, 2006. 4. submitted on June 23, 2007, by Craig Swain of Leesburg, Virginia. 5, 6, 7. submitted on June 15, 2017, by Allen C. Browne of Silver Spring, Maryland. • Craig Swain was the editor who published this page.